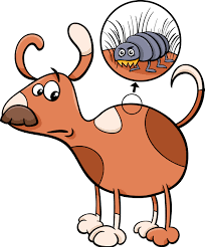 Flea Control | Bug Depot Termite & Pest Control | Serving Columbia, Irmo, Chapin and beyond. Fleas are a well known nuisance. Once they infest your home or yard, you feel like they’re everywhere. Treatment usually needs to be performed by a professional exterminator with professional methods. Over the counter solutions often don’t seem to work. Bug Depot Termite & Pest Control offers comprehensive, customized home and yard flea control services. We intend to stop infestations instead of temporarily stemming the problem. Our licensed exterminators will inspect your home and your homes environment to determine the scope of your flea problem. With our extensive experience we have a complete understanding of the flea life cycle. We will then tailor a customized treatment for your specific problem. This could be home only, yard only or both treatments may be needed.